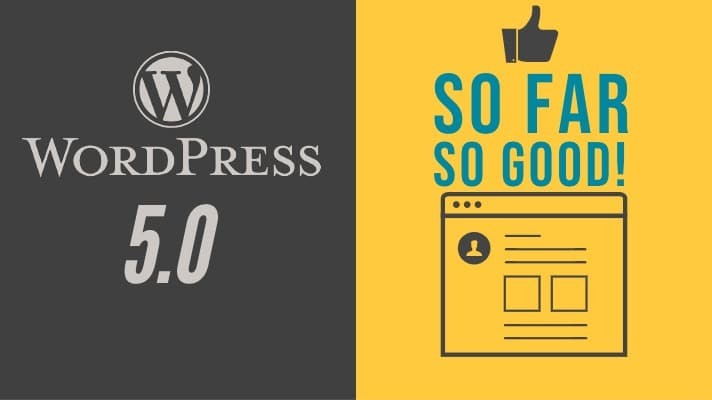 WordPress 5.0 launched to great success this week, and we’ve updated our site to make sure that everything is compatible before updating any of our client sites. So far so good, and while the new “Blocks” editor has a number of things I don’t care about in its new interface, it seems like a step in the right direction. And as with any big update, I believe it will continue to improve over this next year and beyond. The WordPress Editor has, for the most part, been the same for as long as I can remember. And while other platforms have evolved and changed, WordPress has not… until now. The new Blocks editor brings a whole new level of post and page building that previously was only available with third-party plugins. A lot of the kind of functionality with this new editor is something that has been available with other website platforms such as Squarespace or Wix for some time now, so it only makes sense to see WordPress also taking a step in this direction. As with any major update, there is always a compatibility risk with the various Themes and plugins that your site may be using, which is why we’re picky when we recommend plugins and themes for use on any WordPress site including our own. With everything that we use, everything seems to be working the way it’s supposed to. When we update any of our sites, we do it in a “Safe” mode which enables us to easily revert back to the previous version in case something goes wrong. It doesn’t seem like I will need to do that on this site however since everything seems to be playing nicely. You can read about the update Here. If you’re completely turned off by this new editing experience, you’re in luck! Support for the Classic Editor plugin will remain in WordPress through 2021. We’re tracking any updates and known issues with this version of WordPress, so stay tuned. We’ll be sure to update you here when we find anything… good or bad. We’re not quite ready to give our full “thumbs up” on updating, but this is definitely a step in the right direction. Sign up below to make sure you don’t miss an update!